Comparative advertising can be a powerful tactic in campaigns, but what happens when the comparison is unwelcome, or even damaging? 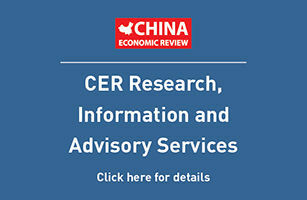 As domestic companies search for inventive ways to benefit from the goodwill attached to foreign goods and services, Chinese courts and authorities are likely to see an increasing number of disputes relating to unfair comparative advertisements. The primary problem lies in ensuring that comparisons are objective and do not mislead consumers as to the origins of goods or services. Fortunately, China's strict regulatory treatment provides broad relief for companies whose goods or services have been used unfairly in comparative advertisements. Two principal laws outline the scope of illegal advertising in China, although neither explicitly refers to `comparative advertising.' The 1993 Anti-Unfair Competition Law and the 1994 Advertising Law both stress principles such as sincerity, trust and fairness and prohibit unfair advertising activities. However, while the Anti-Unfair Competition Law provides for compensation to business operators, the Advertising Law is primarily an instrument for protecting consumers' rights. The Anti-Unfair Competition Law specifically states that business operators should not use false advertising in such a way as to mislead people regarding a product's quality, contents, capacity, use, manufacturer, use-by date or place of manufacture. It prohibits advertising companies from acting on behalf of a business operator, or designing, producing or publishing an advertisement in situations where they know, or ought to know, that the contents of the advertisement are false. Furthermore, business operators who create or disseminate lies about a business competitor that denigrate that competitor's business or product reputation are considered guilty of unfair competition. Competition Law simply by failing to adhere to the principles of sincerity and trust. Indeed, courts have typically focused on the issues of honesty and fairness when hearing cases that involve comparative advertising. China's advertising laws and regulations also afford a measure of protection against unfair comparisons. The 1994 Advertising Law stipulates, for instance, that wording used to explain or present any statistical information or survey results must be honest and precise, and must clearly indicate any disparities. Descriptions of the quality or characteristics of the product advertised must also be clear and understandable, and the advertisement must be immediately and easily recognisable as an advertisement. Advertisements must not denigrate the goods or services of another manufacturer. What if the comparison is unfavourable but truthful? The legislation seems to leave open the question of whether or not an advertisement that contains an honest and objective comparison between two products that clearly identifies a flaw in one of the products is illegal. For purposes of advertising law, the question is purely academic, since it is directed to protect the consumer, not the competitor. An action for compensation under the Advertising Law can only be brought by an aggrieved consumer who has purchased goods or services on the basis of illegal advertisements. Yet for the purposes of the Anti-Unfair Competition Law, the interpretation of false advertising established under the advertising laws is important when deciding what constitutes unfair competition. Typically, courts will make detailed references to specific provisions in China's advertising laws. The Advertising Review Standards (Trial Version), issued by the State Administration for Industry and Commerce (SAIC) in 1993, contained sections dealing with comparative advertising in a far more detailed and direct manner, but they were replaced by subsequent legislation. The standards specifically addressed the concept of comparative advertising and the conditions under which such advertising was permissible. Among other things, the standards permitted a comparison that had a proper scientific or statistical basis, was between products of a similar nature, and compared a character of the products that was capable of being compared. Unfortunately, the newer regulations no longer contain these provisions. Nevertheless, comparative advertising that does not comply with these standards would clearly be caught by existing laws and regulations. -or use unfairly the famous product or service marks of a competitor to accompany the advertising of their own products in order to benefit by association from the reputation of the competitor or its product. As far as the courts are concerned, comparative advertisements need not name the goods or services of a competitor company to be considered damaging to the reputation of the competitor. In Shandong Qingdao Kefan Economic Technology Development Co v Shandong Jinan Eastern Ke Gong Mao Co, the defendant company published articles that did not specifically mention the competitor's goods, but did claim that its own products were `the best.' After the plaintiff demonstrated that the articles resulted in a decline in sales, the People's District Court of Qingdao decided that the advertisements had breached the Anti-Unfair Competition Law, and ordered compensation of Yn60,000 and an immediate halt to publication. In some cases, offending companies are not only required to pay civil compensation to competitors, but are also fined by the SAIC. In Shanghai Cigarette Factory and Yuxi Cigarette Factory v Bangbu Cigarette Factory, the defendant company published a series of advertisements for its Huangshan brand cigarettes in several Mainland and Hong Kong newspapers. The advertisements simply stated ?Huangshan – No. 1, Zhonghua – No. 2, Hongtashan – No. 3,? and accompanied these rankings with the official stamp of the Anhui Provincial Notary Office. In fact, the rankings were made on the basis of an unofficial survey of tobacco experts carried out by Bangbu, most of whom were retailers of Huangshan cigarettes, friends of Bangbu management, or other people lacking the relevant knowledge to form an opinion regarding differences in the brands. An action was brought against Bangbu under the Anti-Unfair Competition Law, and Bangbu was found to be in breach of the Advertising Law, the principles of honesty of fairness and the Anti-Unfair Competition Law. The defendant company was also fined by the SAIC. Business operators should bring actions for improper comparative advertising under the Anti-Unfair Competition Law. In addition, a breach of the Advertising Law or related regulations may be reported to the SAIC, which is empowered to issue fines, halt publication and dissemination of offending advertisements, and discipline any officials involved in allowing the advertisements to be published or disseminated without first undergoing the appropriate review process. The time involved in reporting offences to the SAIC and seeing subsequent action is substantially less than that involved in bringing a court action. Additionally, in serious cases of false advertising, China's Criminal Law provides for a maximum prison sentence of two years. Although these regulations provide valuable protection, foreign companies also need to keep in mind the relevant legal issues when launching their own advertising campaigns. Such campaigns may not only attract the much desired attention of consumers, but also the less welcome interest of industry regulators. This article was written by Matthew Murphy, Chris Betts and Amanda Buster of Freshfields Bruckhaus Deringer. For further details, contact Lucille Barale in Hong Kong (telephone: + 852 2846 3400) or by e-mail (lucille.barale@eshfaelds.com) or Matthew Cosans in London (telephone: +44 207 936 4000) or by e-mail (matthew. cosans@freshfields.com).